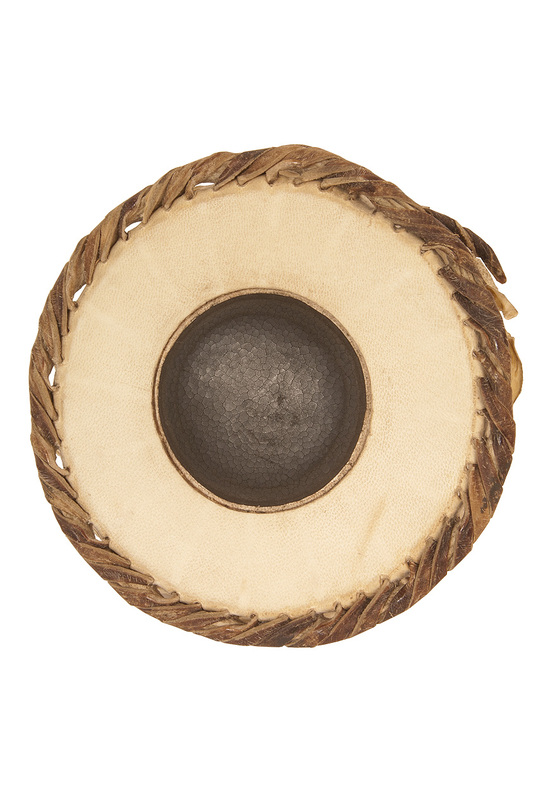 banjira 8 Inch Mridangam Head Pitched Valanthalai Goatskin. banjira Pitched Valanthalai Mridangam Head 6.25" MIRST-625. Pitched (valanthalai) mridangam head. The mridangam has two opposing heads, bass (thoppi) and pitched (valanthalai). Sliver-thin reeds are inserted between the two layers of the pitched head to create a distinct, buzzed sound. A small dough paste is traditionally applied on the outside center of the bass head to achieve a low bass tone.